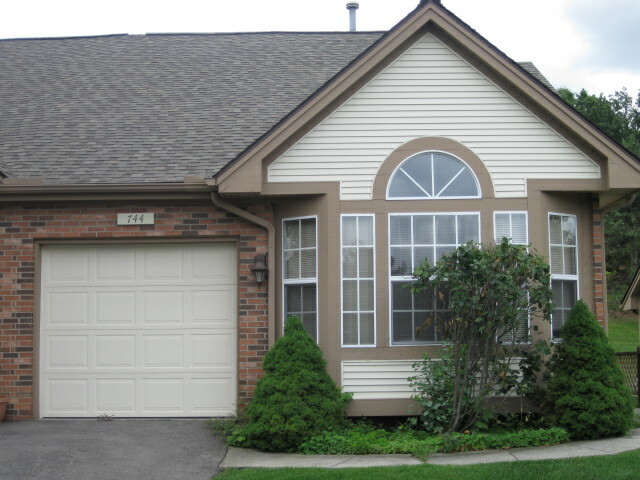 The Land Bank sells properties in Genesee County. 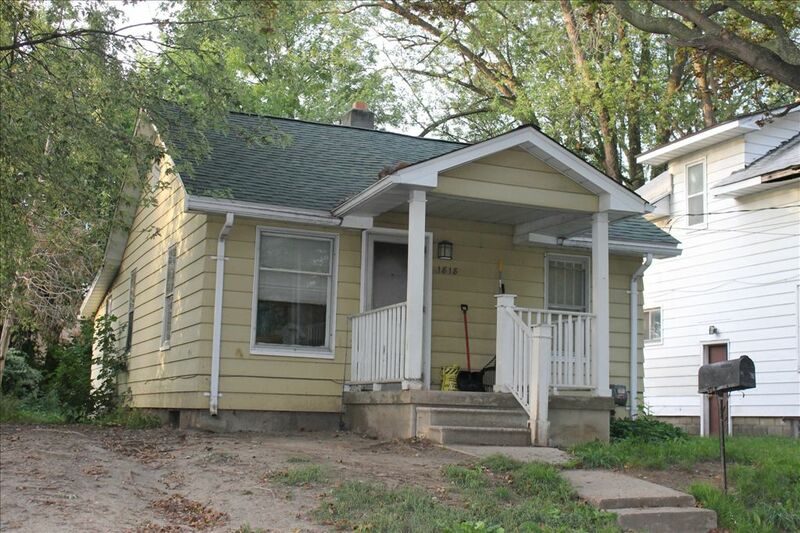 We are dedicated to returning tax foreclosed properties to the tax roll through sales to responsible property owners. Our most common property sales are vacant lots sold to adjacent homeowners (Side Lots) and homes and commercial buildings that are in good or fair condition but may need significant renovations*. We do not sell properties for speculation. 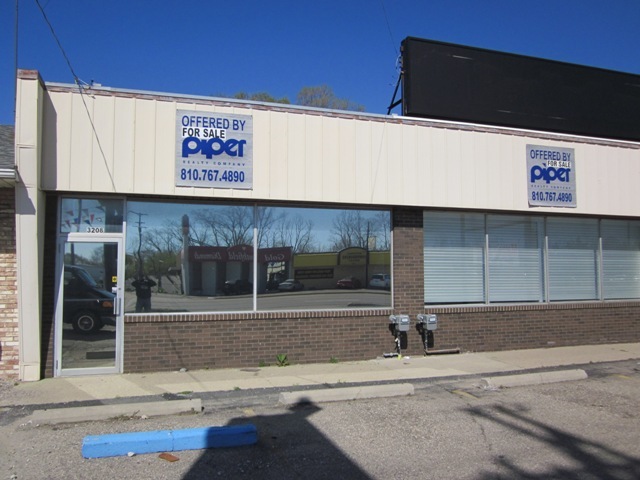 We do not offer properties for sale that are in poor or structurally deficient condition. 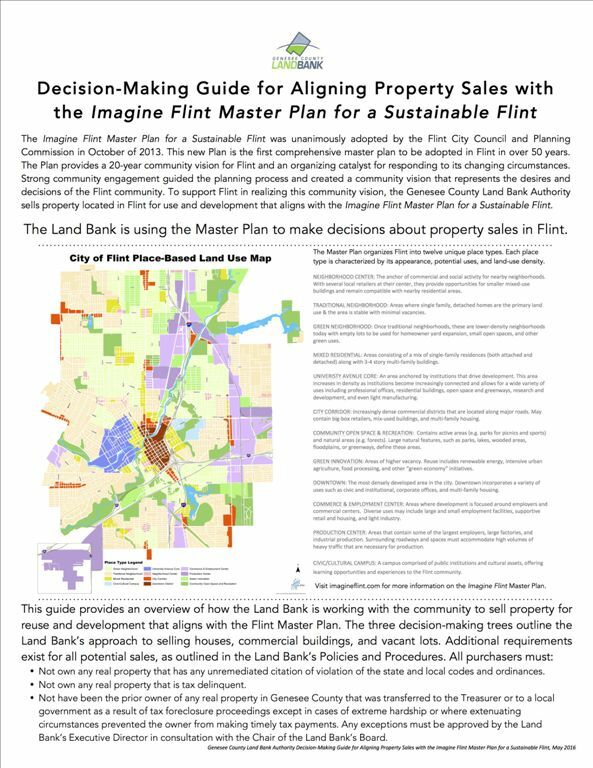 The Land Bank is using the Imagine Flint Master Plan for a Sustainable Flint to make decisions about property sales in Flint. The Imagine Flint Master Plan for a Sustainable Flint was unanimously adopted by the Flint City Council and Planning Commission in October of 2013. This new Plan is the first comprehensive master plan to be adopted in Flint in over 50 years. The Plan provides a 20-year community vision for Flint and an organizing catalyst for responding to its changing circumstances. Strong community engagement guided the planning process and created a community vision that represents the desires and decisions of the Flint community. To support Flint in realizing this community vision, the Genesee County Land Bank Authority sells property located in Flint for use and development that aligns with the Imagine Flint Master Plan for a Sustainable Flint. Look at our new Decision-Making Guide to learn more about how the Land Bank is using the Master Plan to make decisions about property sales in Flint. Visit www.imagineflint.com to learn more about Flint's Master Plan.